Bonding is the process by which many aesthetic restorations of all types of material composition are adhered to the tooth. 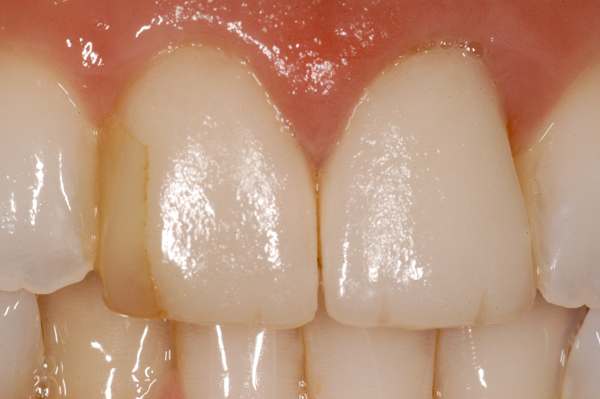 Below are examples of bonded restorations. In his pursuit to provide excellence in all his work, Dr. Prus searches out the finest in materials for each type of restoration so it will provide ultimate aesthetics and maximum durability. Since bonding initiated as a procedure in the 1980s Dr. Prus has focused on 4 basic materials selections. His latest composite bonding materials is a 3M product, Filtek Ultra, recognized by aesthetic magazines as one of the finest available for composite fillings because of its super fine, nano-composite composition and color matching capabilities. Post Orthodontic composite bonding on two central teeth to even out smile and enhance youthful appearance. Careful finishing of all margins and color selection creates an invisible addition to the teeth enhancing the patient's smile according to her wishes. 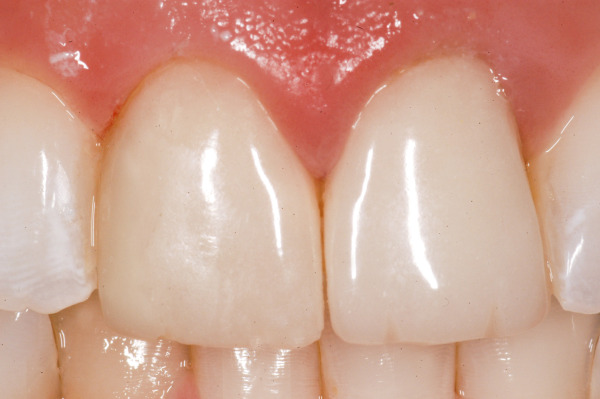 An upper central tooth diastema (space) was closed by adding precise, color matching composite to the middle (mesial) surface of each tooth, maintaining the contours and balance to retain a realistic addition to the contours of the tooth. This procedure eliminated more expensive porcelain veneer restorations or even orthodontic movement of the teeth together bringing significant savings to the patient. 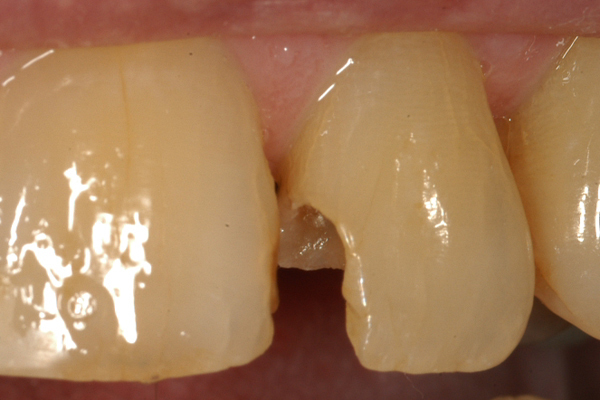 When decay gets under a filling and needs to be replace, it must replicate original tooth structure so it becomes invisible. 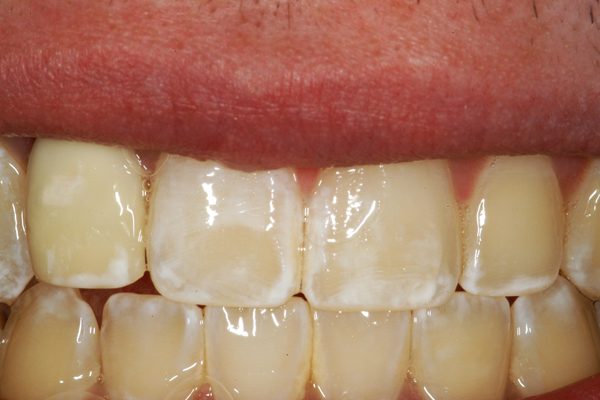 This 3M Filtek Ultra nano-composite restoration can last as long as 15 years if properly cared for. Dr. Prus will carefully layer many different colors to create the natural appearance seen here. 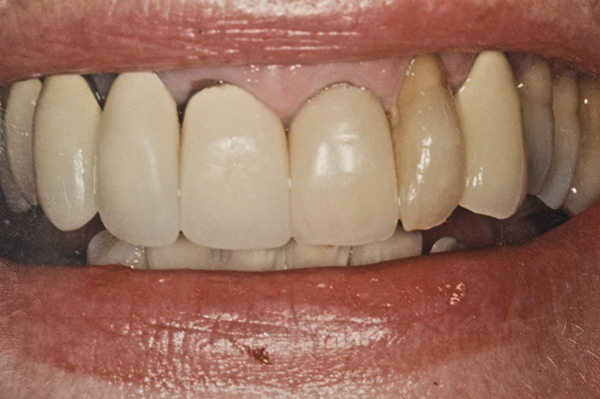 Each case presents its own unique issues in creating a natural, aesthetic filling. 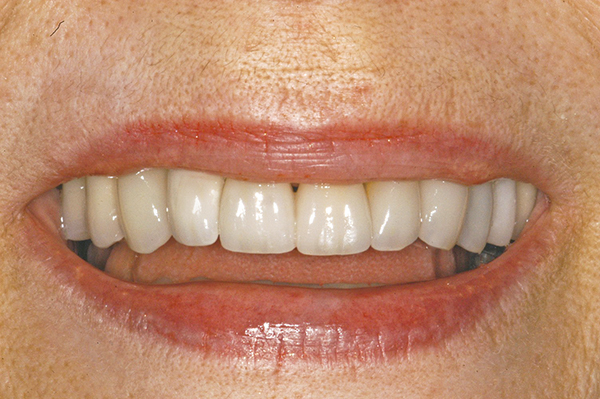 A short right lateral incisor created an imbalance in the harmony of this patient's smile. Carefully selected nano-composites with multiple colored layers created an aesthetic blend to naturally replicate the longer tooth. 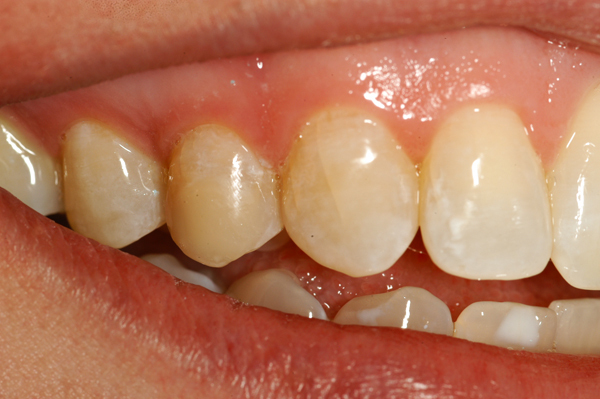 Two bonded composite restorations that developed decay (dark coloring) were replaced economically with nano-composite materials that will last longer and resist discoloration better. Unattractive gaps between lower front teeth are cosmetically closed with careful application of color matched Filtek Ultra nano-composite. The restorations are bonded to enamel which is a much stronger and durable bond than to dentin, and they are not involved in functional chewing. Such restorations can be expected to last many years, but if they break they are easily and economically repaired. Whenever possible it is advisable to use porcelain when restoring teeth, especially when maximum aesthetics and durability are required. Composite restorations are fast and economical and can last as long as 15 years in ideal situations, but they are resin (plastic) based and wear faster than porcelain especially in heavy wear areas such as the biting surfaces of molars. 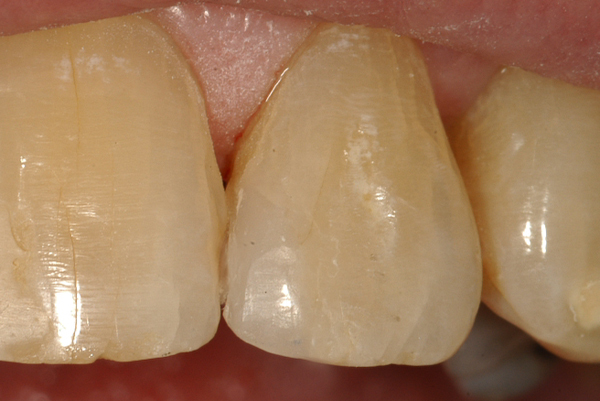 Porcelain restorations can last and look beautiful for decades, as long as 50-60 years when properly placed. There are many different physical characteristics to each type of material and it is up to Dr. Prus, in communication with his patients, to determine which porcelain material serves the needs of his patient the best in accordance with each patient's primary wishes and needs. He will explain the benefits of each option to optimize the patient's choice. 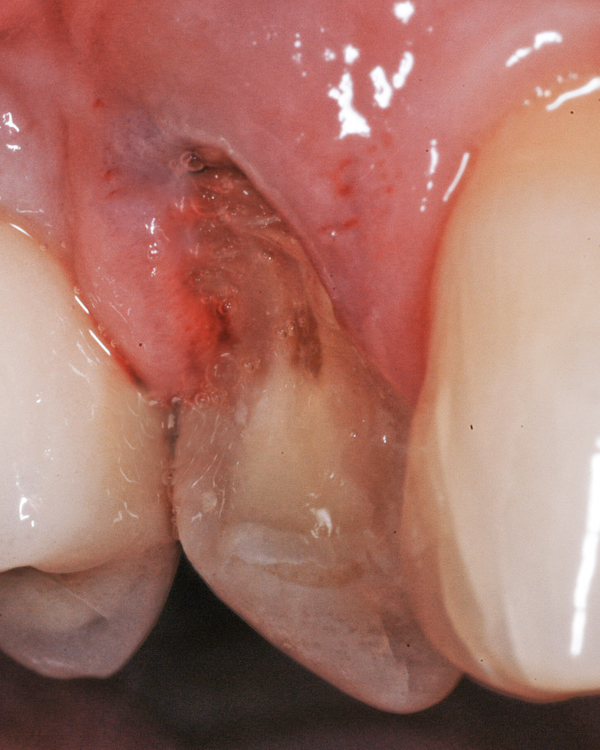 An entire buccal cusp of an upper bicuspid fractured off without invading and damaging the pulp chamber. The porcelain overlay protected the remaining tooth from damage which sealing out bacteria from the oral environment by bonding the onlay to the tooth. 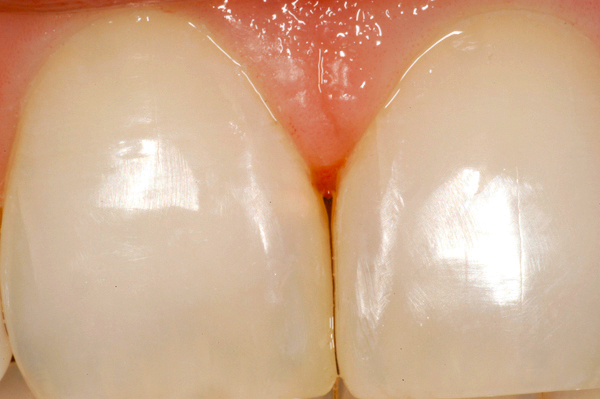 Aesthetic coloring of the 'root' created an aesthetic match to adjacent teeth. In such situations a cosmetically trained lab technician such as who Dr. Prus uses, is a necessity to create a complete aesthetic match. 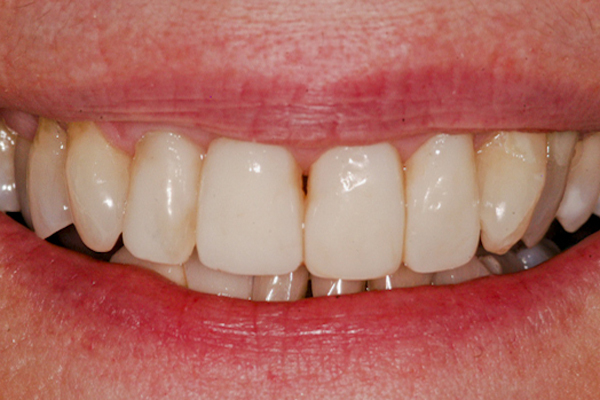 Porcelain fused to metal (PFM) crowns on the front teeth did not have porcelain margins and created an unattractive dark shadow at the top of the crowns. 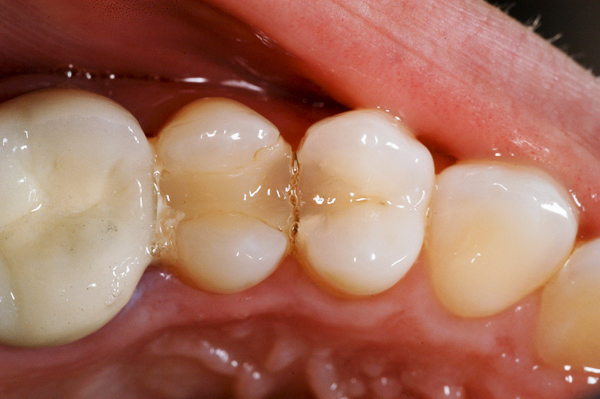 The metal core of the crown blocks all light creating a visible darkness in the tooth. 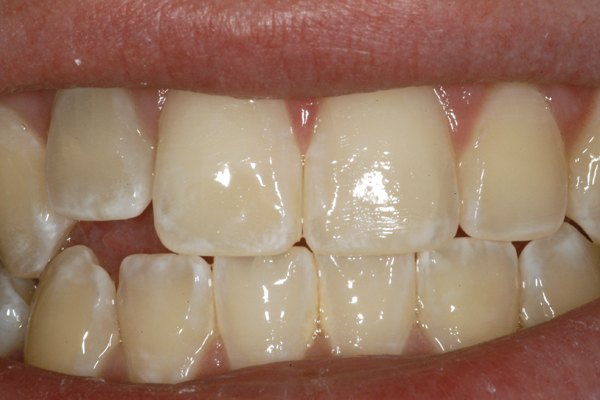 They were replaced with all-ceramic E-Max crowns as part of a full mouth restoration. 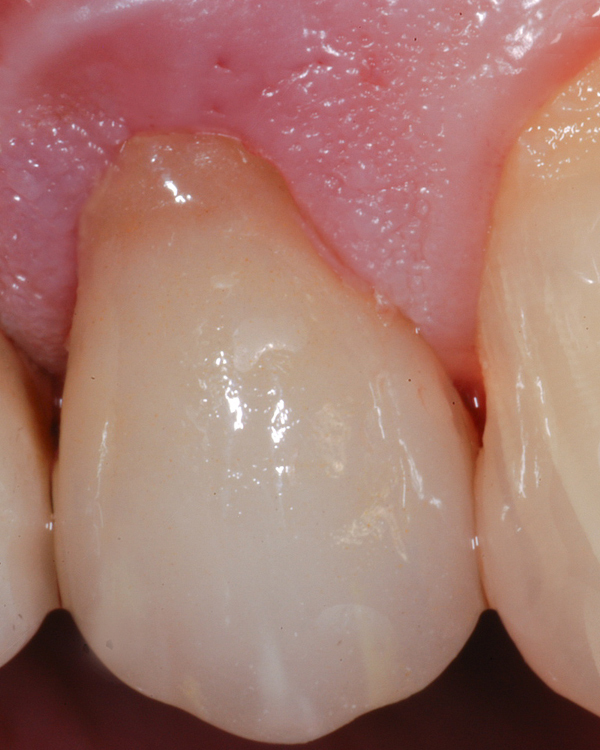 PFM crowns can be very aesthetic if the margins are properly hidden below the gingiva or if all-porcelain margins are used on all visible areas. See below for additional specifics on this case. 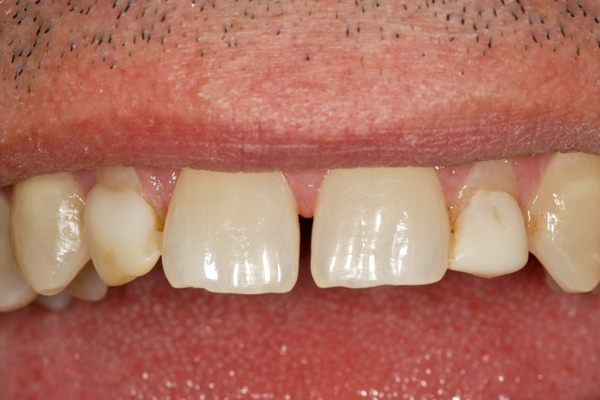 The right lateral incisor was fragile and fractured requiring a replacement with an implant supported crown. 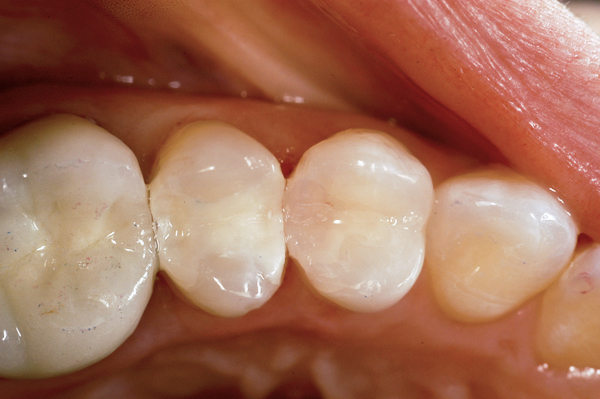 The margin of the porcelain fused to metal (PFM) crown was placed sufficiently under the crest of the gingiva so it would never show a dark line when the patient smiled. 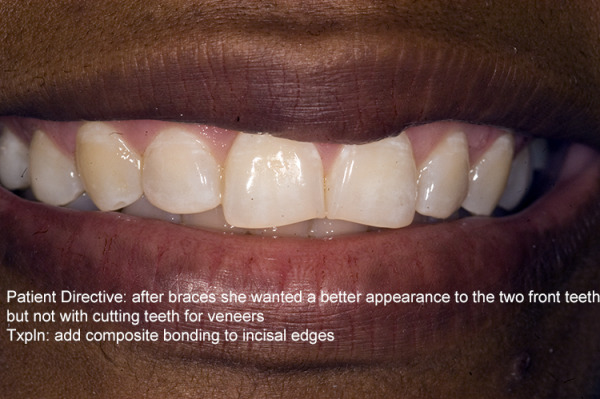 Smile makeovers can be created in many different ways using a variety of materials. The choices are affected by the advice of Dr. Prus in accordance with the patient's needs, wants and limits. 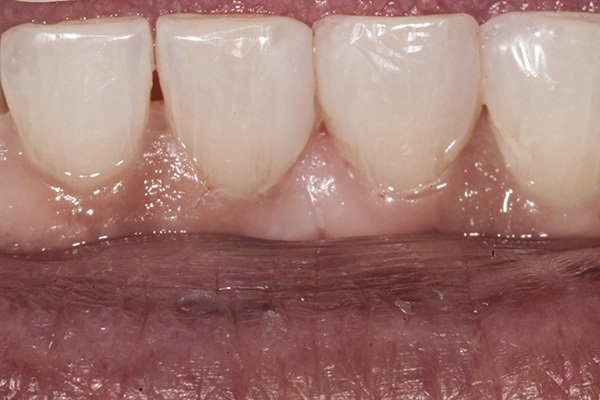 Porcelain is the best option for aesthetics but not all patients demand that level of care. 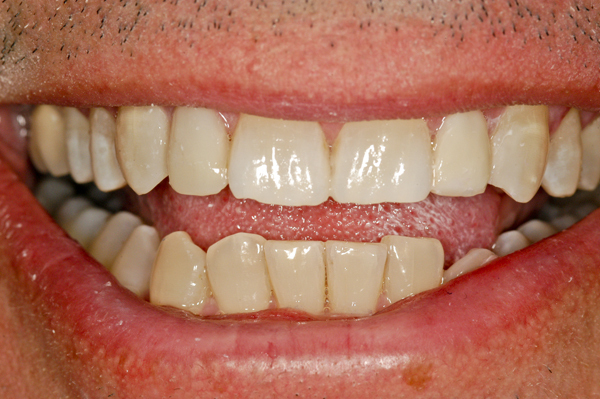 An unaesthetic appearance of the patient's front teeth required correction. Teeth were rotated out of position and exhibited unattractive shapes and color. 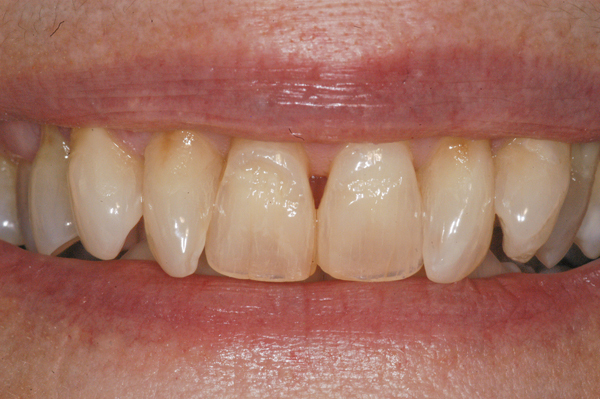 However the patient could not commit to a porcelain veneer solution and a full composite veneer overlay created an acceptable aesthetic solution. 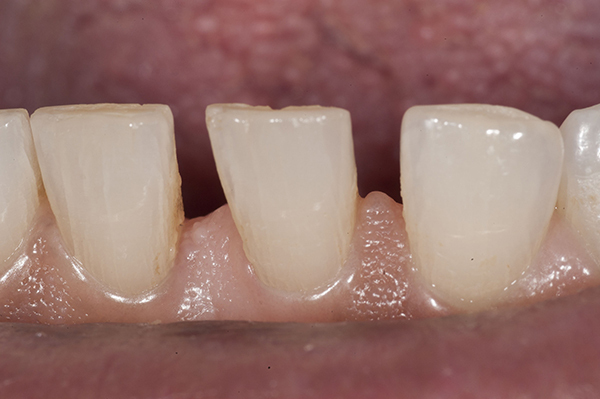 The canines (third from center) had composite added to the front (mesial) edge to soften their fang look. 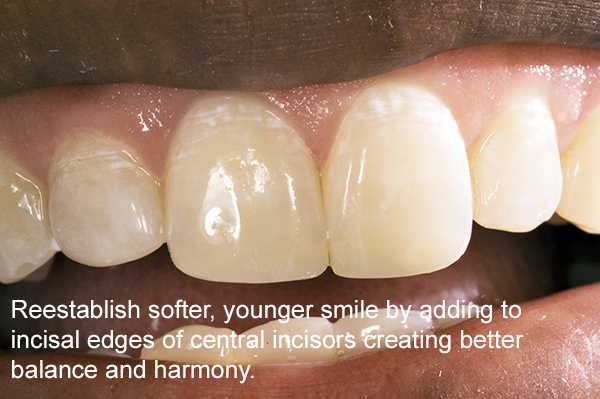 The lateral incisors and centrals received complete Filtek Ultra nano-composite veneers. 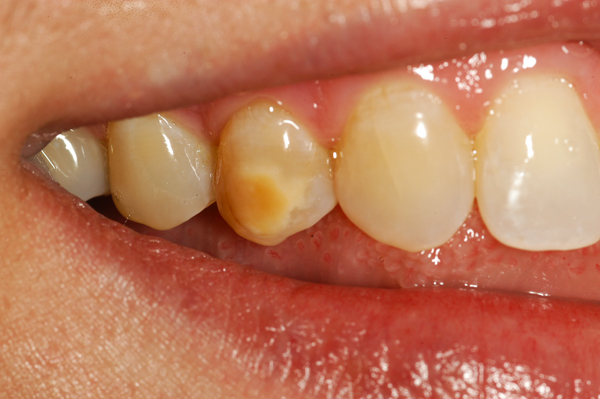 This case has been in the mouth over 15 years without breakage or discoloration. 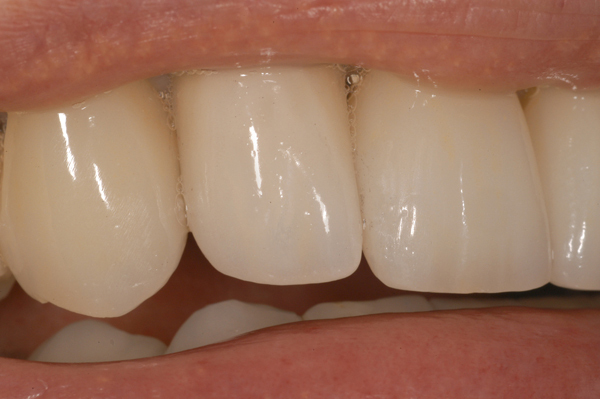 In preparation for a possible porcelain veneer solution to an unaesthetic smile, Filtek Supreme Ultra nano-composite filling and veneer restorations were used to close the gap (diastema) between the two centrals and create an aesthetic balance in shape and color for the two lateral incisors. The lower incisors will receive Inman Aligner orthodontic treatment to straighten out the teeth and create a balanced smile. Resin based (composite) smile makeovers are very cost effective compared to porcelain veneers but are less aesthetic and durable.